Some more of the same choppy, confusing action from many stocks with the S&P500 and Russell2000 holding up well. However, the Nasdaq is struggling on the backs of the leading large stocks/FAANG, since they are so heavily weighted within the Nasdaq Index. 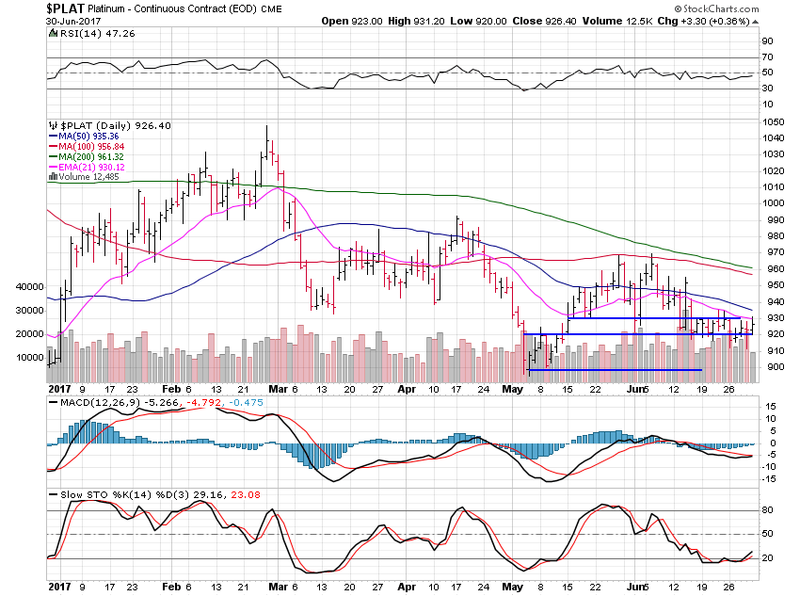 The metals still can’t get anything going at all…so avoid for the moment. Keep it simple…and be patient waiting for easy setups, which look to be a week or two away now. 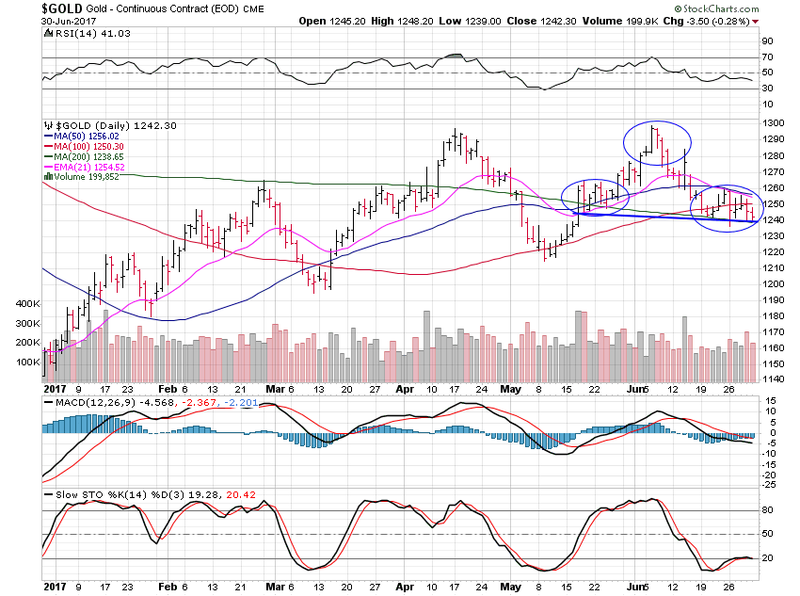 Gold lost 1.12% and has a Head&Shoulders pattern which points lower right away. 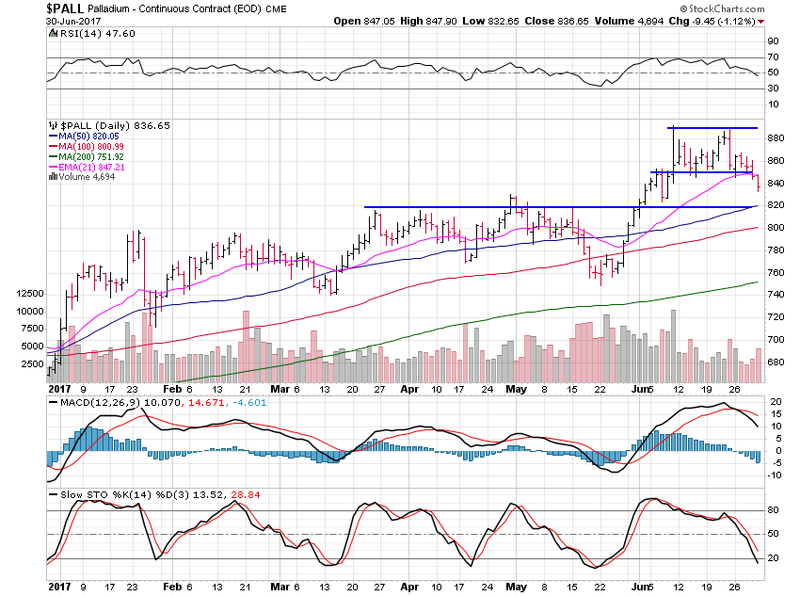 The target area of this Head&Shoulders is the major pivot level back at $1,180. Nothing hot at all on this chart so keep patience while a low develops. Silver tried to turn the metals higher but failed and closed the week about even, down just 0.12%. 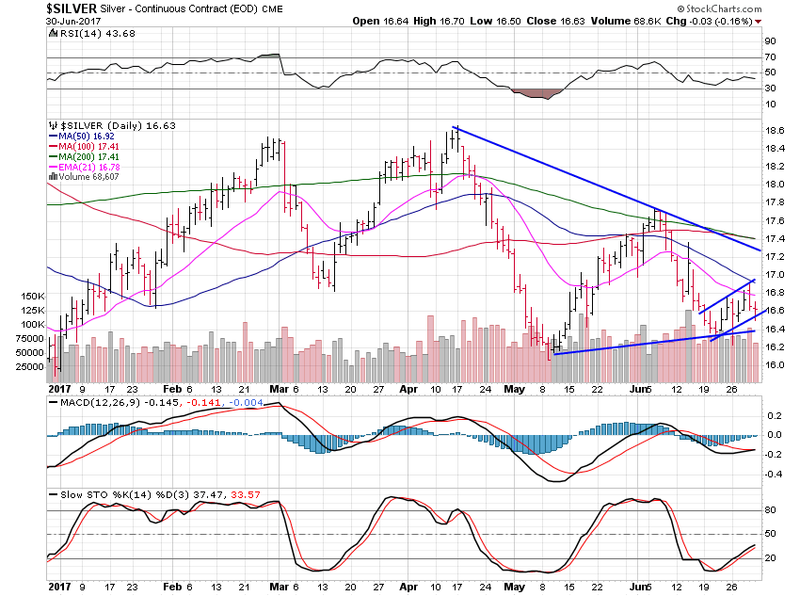 Silver looks to be trying to break this ascending channel which would point to a move back to test support at $15.60. The attempt to move and hold above the 21-day average didn’t last long, which implies the bears are in charge for the moment. Platinum slid 0.32% and isn’t doing anything for the moment. A move under $920 says weakness, while a move above $930 says strength. Weakness is my guess. Palladium fell 2.33% and weakness has finally overtaken its recent strength in the face of faltering gold and silver. $820 looks to be next, then $800 is likely to at least be tested. In summation, nothing special at all in terms of stocks, market, or metals…so take a break! Have a lovely Canada Day and superb July 4th next week.